Bee is an Araloosa. 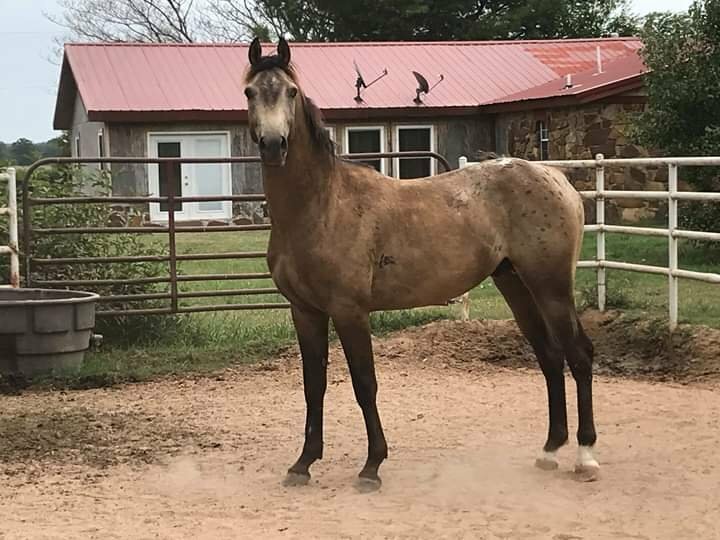 Half Arabian, Half Appaloosa, dual registered with ApHC and HAHR. She has a real history with me. Let’s begin with her grandfather. WL’s Prince Sarke, well known around here as “Shark”. He recently passed away in October 2018 at the ripe old age of 34. This was the most amazing horse I ever owned. Please click on his name to see some photos of him over the years. My friend had an exceptional AQHA mare that was also well rounded and had the most excellent pedigree. He asked to breed her to Shark. This breeding produced an awesome filly we named Leverage. My friend raised her and trained her and one day he approached me that he wanted to find her a new home. She was sold to another friend of mine. 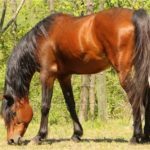 He became ill and had to find homes for his horses, so I brought Leverage home to me. At that time, I had a marvelous Arabian stallion, Shrapnel. 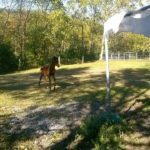 (April 1992 to September 2014) There is an entire story built around this horse and how I acquired him and saved his life … that’s a story for another day. He was 19 yrs old, had not been broke to saddle, had not covered a mare and pretty much had spent 19 years in a stall alone. He was very easy to train to saddle, and he covered a couple mares for me during his brief stay in my life. One of these mares was Leverage! And that breeding produced Bee (Bombardier NPF) – and now you know why she has such a bizarre name. I registered all Shrapnel’s foals something in a theme. She has siblings named Grenadier NPF, Skirmish NPF, Sherman NPF, Bouncing Betty NPF. grin – it was fun naming his babies! 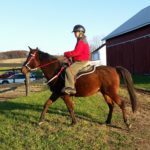 I raised Bee until she was two and at that time I believed she did not have the temperament to make a strong endurance horse. I sold her as a two year old. Recently, this past summer, she came available for sale so I bought her back. 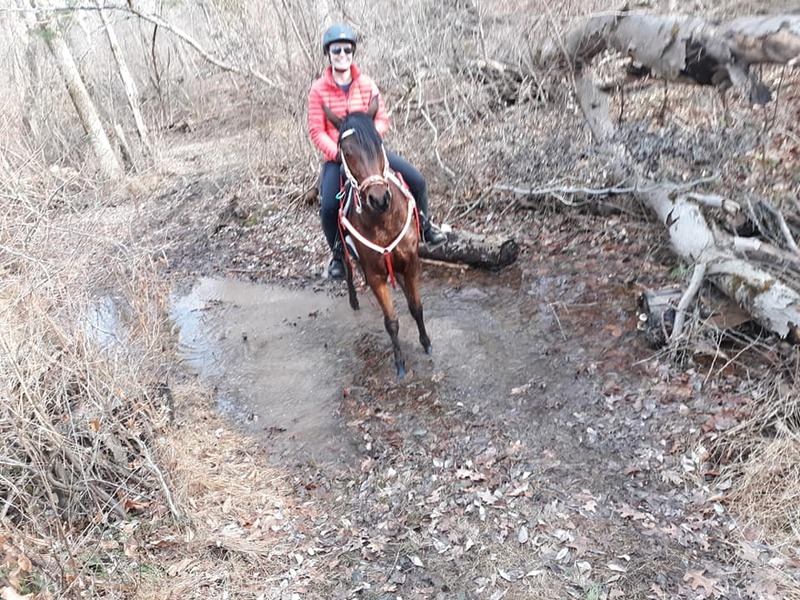 I still do not believe she has the temperament to make a strong endurance horse, she is very laid back and easy going with no sense of competition at all. I started her saddle training and she has been easy peasy. She is going to be a great pleasure horse. Maybe even a good CTR horse. She had a leg injury as a yearling which left a large scar and calcification on her rear leg. I do not know if this prevent her from doing distance work but I am okay with that. She is a dollbaby and once her training is going well, she will most likely make a great “second” horse for my friends to ride. I am actively seeking an Araloosa stallion to breed to Bee. Email me if you have a lead! He must be registered with ApHC and he must be 1/2 Arabian. 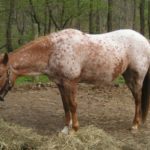 UPDATE (Feb 2, 2019) I have a lead on an Araloosa stallion. I am waiting on the owner to get his ApHC registration completed and then I will purchase a breeding to him. He is gorgeous. His Appaloosa pedigree is very old style breeding and his arabian breeding is an interesting mix of old and new (chuckle). I love it. His name is Intense Storm DCR. He is located at Dream Catcher Ranch if you have interest in him for yourself.